Be tempted by the addition of clear simple pure glass in your home. As the world around us has become complicated there’s assurance in transparency. The technologies and cyber space world separates us from the known realities. To regain some understanding we’ve sort out the beauty of simplicity. Longing for clarity openness and transparency has us looking for beauty in everyday objects. Be seduced by simple pure glass vases, objects and light fittings. Be enlightened and understand things around you. With glass what you see is what you get, nothing is hidden! Being transparent the inner workings or objects within the glass are seen, nothing is covered up or kept from you. Our homes should reflect us, our likes and our values. Our belongings should makes us happy. It’s not always the case, often we are left with someone else’s cast off’s. This is especially true with light fittings, we simply keep what’s there. Sometimes it’s the budget that stops us making our homes reflect our tastes, but aspiration should always be to only have things you think are beautiful in your home. I know you are going to need practical items too, t’is true! A good rule is, the items you see and use everyday should please you. Do your damnedest to make sure you have nice things to look at. 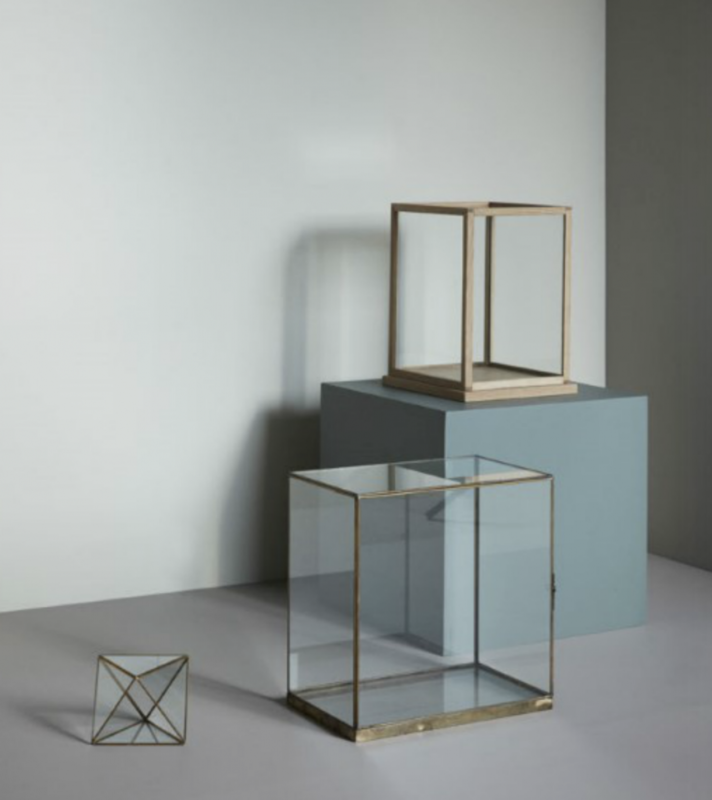 The emerging trend for glass accessories is a trend you’ll see gain in momentum this year, it’s a clear winner for those looking to refresh and renew their decor. 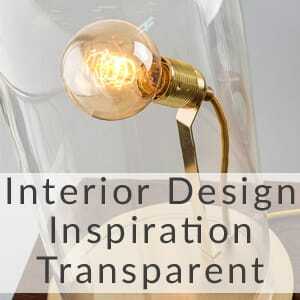 Sheer, transparent or translucent glass accessories and light fittings will delight the eye. You’ll see glass pendants, glass boxes, glass fronted cabinets, and vases. I adore this concept, I like the fact that you can see inside. Everything housed in glass looks great. The contents becomes part of the design. An empty box becomes an art installation. 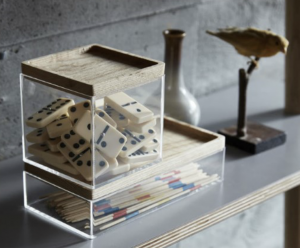 Box Clever, decorative glass boxes bring something extra to home decor. 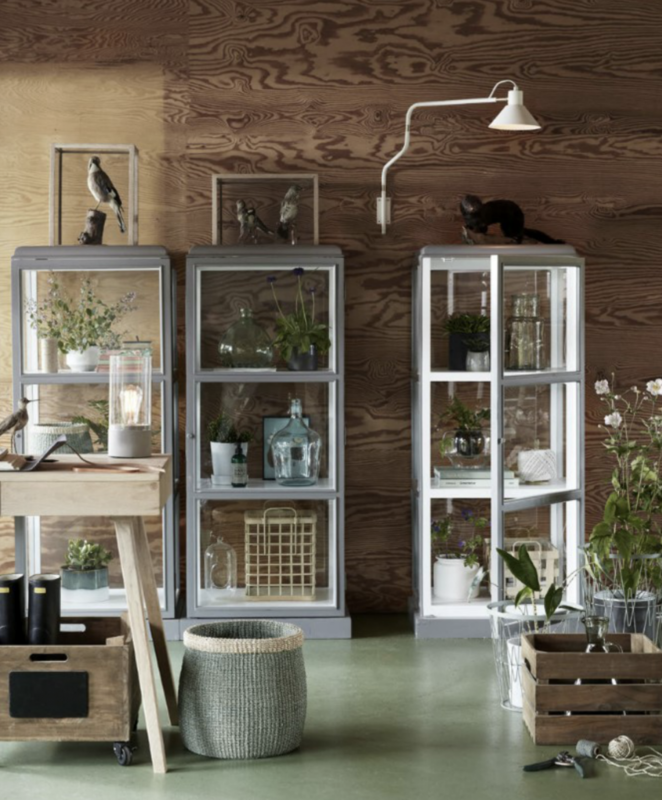 Objects with glass boxes or cabinets become a collated collection. The objects held within the below cabinets are not expensive items but as a collection they have so much more impact and bring a visual treat that offers more value to the sum of its parts. You may be surprised how much you love this look too. If you’ve never considered glass as a home accessory and for you vases and bowls have only every been a utility object, it’s time to look again! Read on and you too may see glass in a new light! If you are opting to display your glass collection as decorative objects then group them together in cabinets or as a small focal point on a shelf. Do try to add some lighting too. Glass and light are a magical combination, light just brings everything to life. Perhaps add a wall light on an arm (find similar wall lights at LightingCompany.co.uk) or alternatively you could try this tip, include a small table lamp in your display, it will enliven the whole thing. 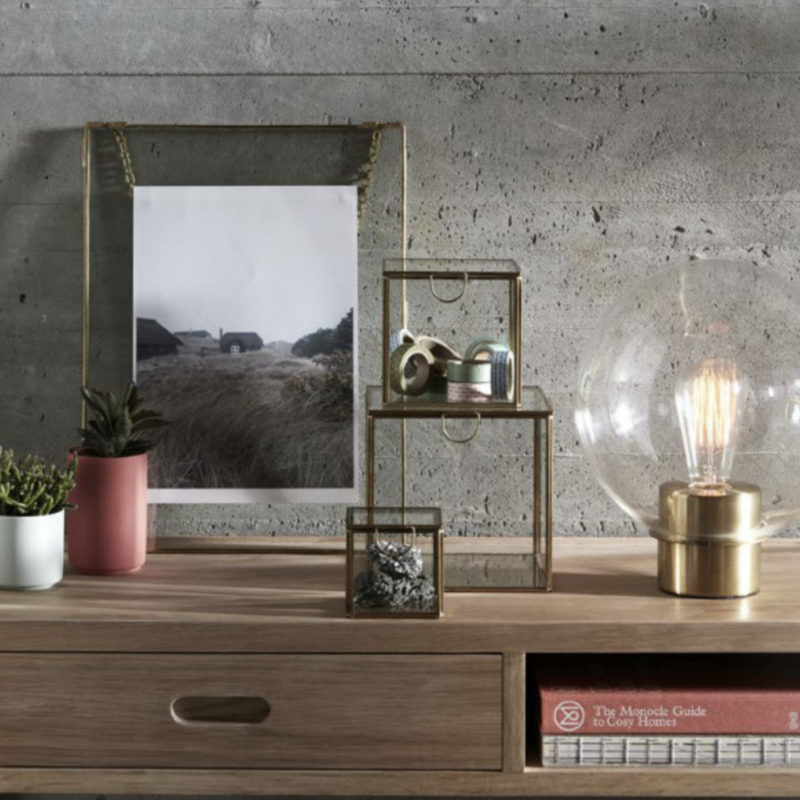 The most everyday or mundane everyday objects placed in glass boxes and well lit can be a tiny little delight, a vignette to delight your eyes. As before mentioned, glass and light makes a great combination, such a tempting pairing and for this reason we’ve enhanced and expanded our glass pendant light range. You’ll find literally hundreds of glass pendant lights to choose from @ LightingCompany.co.uk and many have superb co-ordinating lamps or vases to complete the decorative effect. Clusters and collections of glass pendant lights in a room adds a jewel like quality that’s hard to beat! If you’re considering a little fresh of your homes styling this year glass objects and lighting is a cheap affordable way to refresh your home. The added benefit is being clear glass it will look good with every colour you ever choose. It’s a such simple style to create but one that really punches above its weight. The basic principal is gather, group and light your collection of glass objects. To fully realise the scheme don’t scrimp, there’s no half measure, you’ll need multiple glass gems in various shapes to give this look the impact it deserves. Glass Frames with Decorative Foliage. Small glass frames and boxes help to dress the room, the suggestion is to opt for groups of frames or boxes in various sizes. 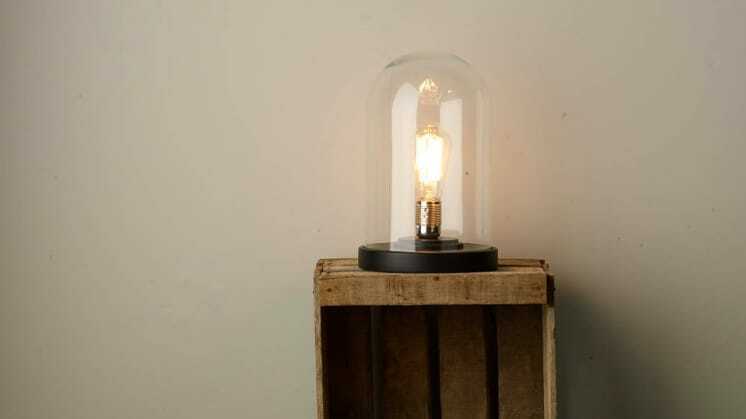 Add a light source, a lamp under a cloche or dome. 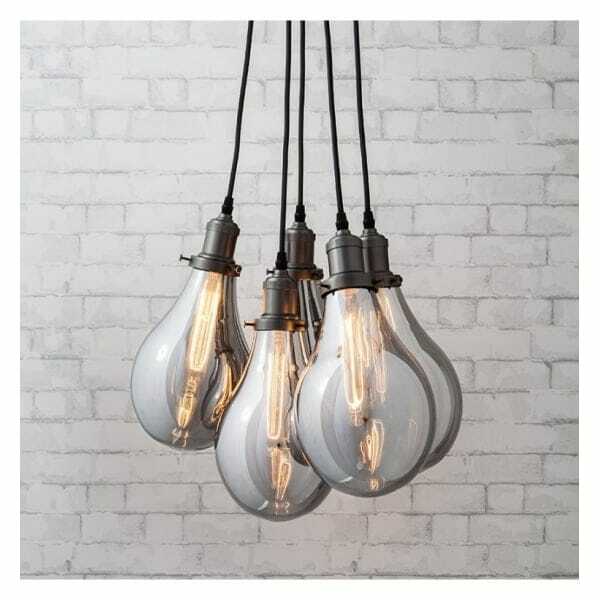 Bare bulb lamps are interesting by day look so incredible in the evenings. 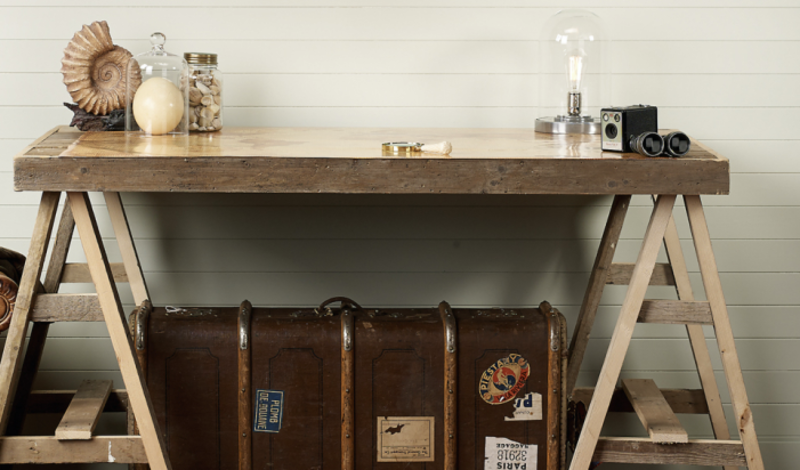 With the range of choice you’ll find something to fit delightfully in every room of the home. There’s an array shapes along with tinted and textured glass but the key style element is the inner is not hidden but celebrated. Value is in the simplicity everyday, be it pickles in a jar, pens in a pot or a completely empty box, nothing is hidden. Bulbs burn brightly in suspended domes, cloches, or bell shaped jar pendants. A celebration of purity. Transparency is the simple joy that takes me to childhood days when a child’s treasures were held in a jar. Glass bottles save coins and all that was held within we held dear. Glass also manages to provide a clean, airy and uncluttered effect. The perfect combination of decoration and space saving. 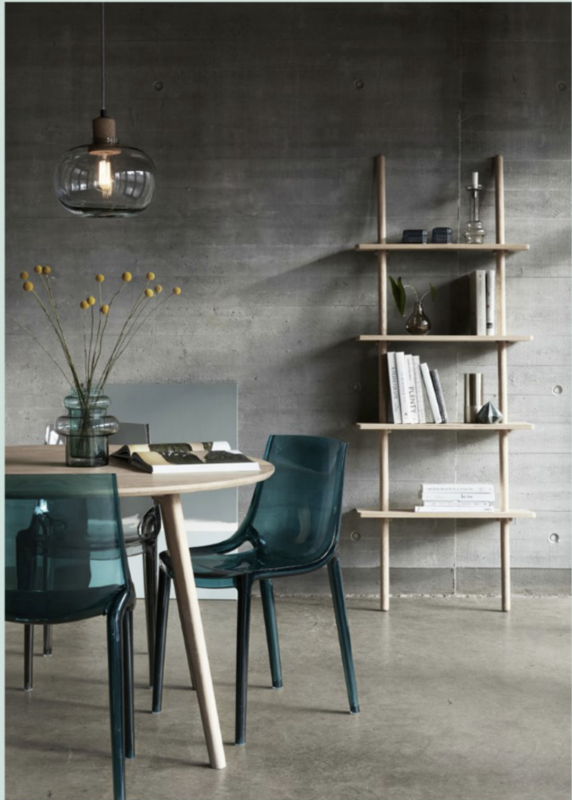 Too many opaque objects within a room can have the place feeling overcrowded, using the interior design inspiration “transparency” avoids this without limiting you to a minimal number of objects and fittings. Putting that glass cabinet into your room keeps the wall behind visible avoiding the sense that you’re losing too much space. Adding a clear glass table lamp into the mix has the same effect whilst adding a touch of glam, use it to highlight the ornaments you display showing glass at its best. We hope you have a clear image of this design that will help you implement your new year’s new look! It may interest you to know we have a full FREE digital magazine full of inspirational content, images and offers. To receive your FREE copies sign up to our newsletter below and become one of our enlightened VIP’s! Next → Next post: New Year, New Look, Fresh Inspirations.